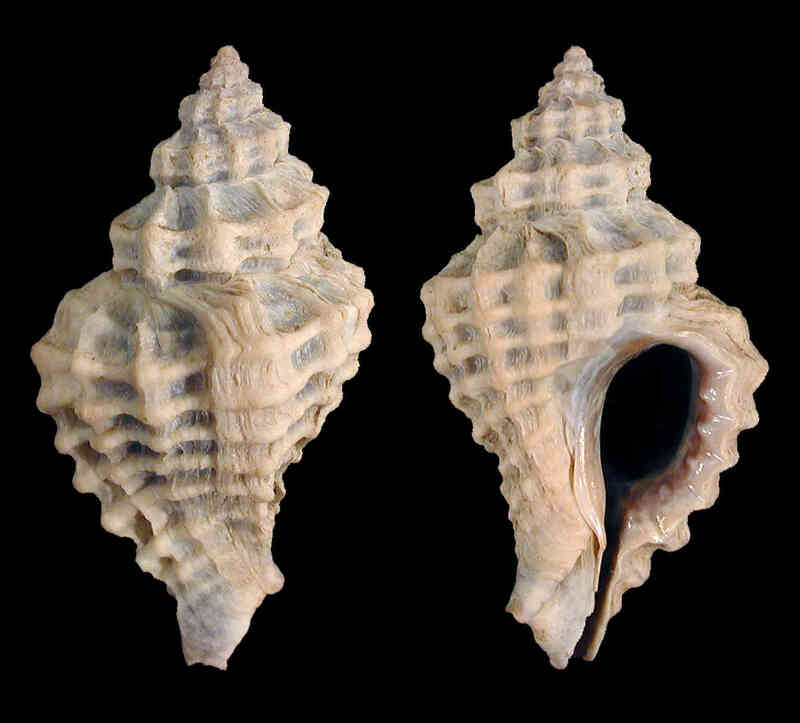 Shell size up to 25 mm; shell thick, whorls with strongly angled periphery. Sculpture of about 12 strong axial ribs crossed by equally strong spiral cords, 5-7 on last whorl, 2 -3 on preceding whorls. Outer lip moderately thick, with 4-6 denticles on inner surface. Color dull brownish-gray. Aperture reddish-brown inside. This species had not been found on Sanibel or surrounding areas since 1950.